This race offers lots of prize money, maybe the most of any? They pay $200,000 for a win and an extra $250,000 if you set a world record. Ethiopian runners have been dominating the race since 2012. 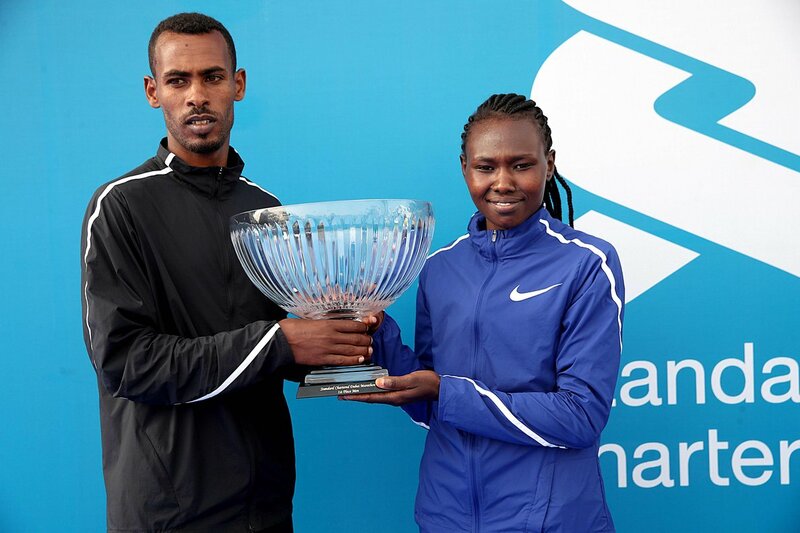 Debutant Getaneh Molla produced the fastest Marathon and Ruth Chepngetich smah course record in Dubai, while Ruth Chepngetich moved up to third on the women’s world all-time list at theIAAF Gold Labelroad race. With the temperature about 18C (64°F), both races started fast but the pacemakers for the elite men were slightly shy of their half-way target of 1:01:30. A group of 14 men, including three pacemakers, were still in the lead pack as they reached the half-way point in 1:01:43. The Marathon Route will start on the Umm Suqeim Road at the Madinat Jumeirah end turning left ontoAl Sufouh running past Dubai College Junction, past the entrance to Palm Island and U turning back at The One & Only Mirage Hotel entrance at Dubai Media City heading back along Al Sufouh onto the Jumeirah Beach Road running past the Burj Al Arab and Jumeirah Beach Hotel. The runners will head up the Jumeirah Beach Road running towards the Union Flag, running past it and U turning at the next junction then heading back along the Jumeirah Beach Road past the Union Flag again. 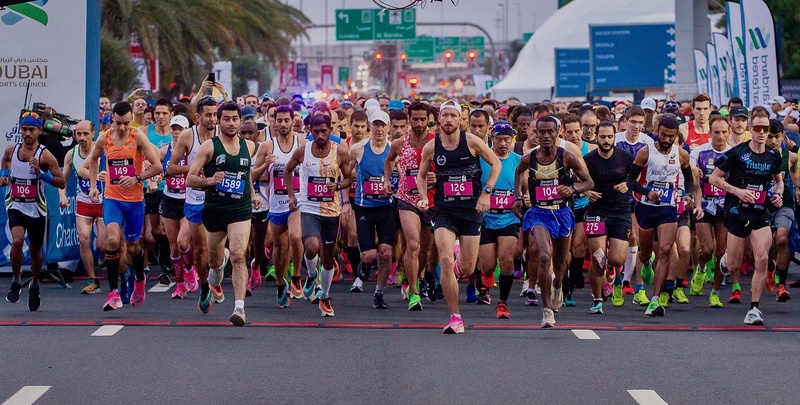 The runners will run back along the Jumeirah Beach Road past the Grand Mosque, the Old Jumeirah Beach Park and head back towards the Burj Al Arab. 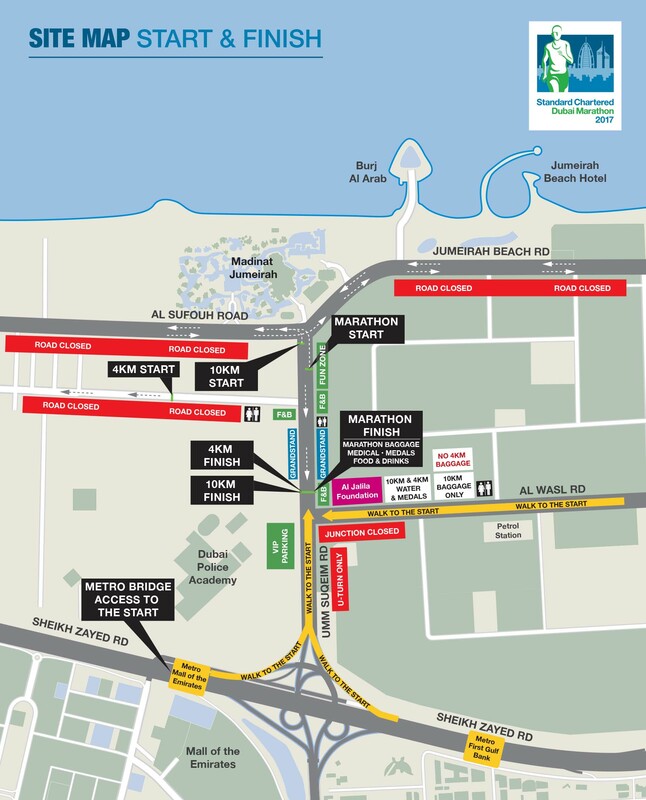 After passing the Burj Al Arab the runners will turn left at the Madinat Jumeirah junction running on the left side of the road along the Umm Suqueim Road for approx 500 metres to the finish just before the Dubai Police Academy.